Following four successful years delivering pavilions commissioned by the Naomi Milgrom Foundation, Kane Constructions has been selected to deliver the 2018 MPavilion. The latest pavilion has been designed by Barcelona-based architect and educator Carme Pinós of Estudio Carme Pinós who is recognised internationally for her interests in urban liveability and inclusivity. Pinós work has been exhibited in galleries, museums and universities around the world including the Pompidou Centre in Paris and the Museum of Modern Art (MoMA) in New York. The 2018 pavilion takes inspiration from origami folding techniques, featuring latticed floating panels and tiered seating. The latticework on the roof and walls allows sunlight to pass through, creating shadows that will change and shift depending on the time of day. The MPavilion 2014 project was delivered by Melbourne based Sean Godsell Architects, the 2015 project by British Architect Amanda Levete Architects, the 2016 project designed by Indian Architect Bijoy Jain of Studio Mumbai, and the 2017 project by Netherlands-based Rem Koolhaas and David Gianotten of OMA. 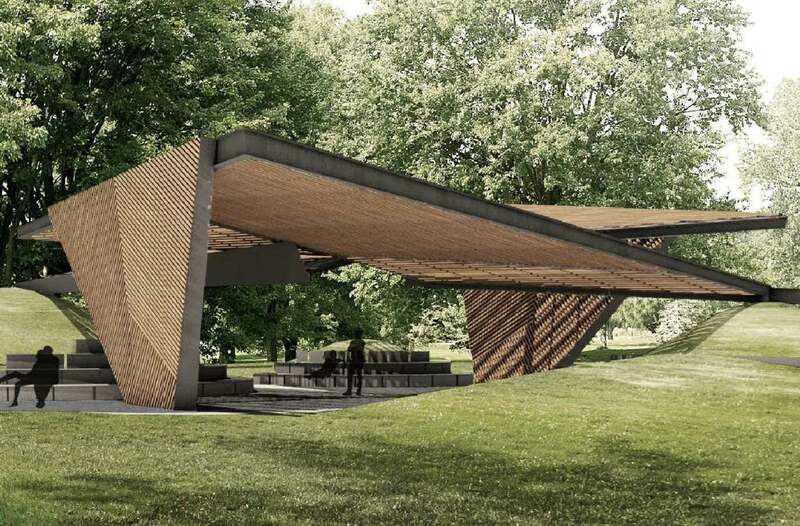 MPavilion 2018 will open free to the public in the Queen Victoria Gardens, Southbank Arts Precinct, on 8 October 2018. 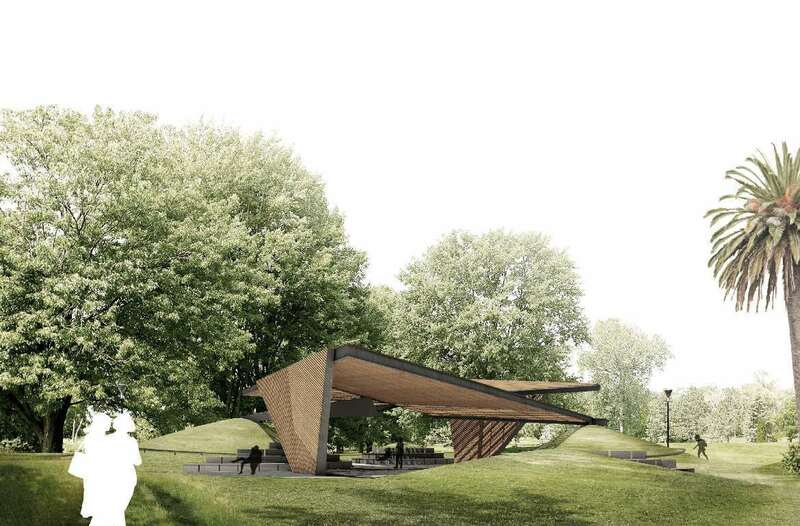 The Pavilion will host over 400 free events, talks, workshops, performances, installations and more, with an increased number developed from public proposals in line with MPavilion’s intention as a civic space and cultural laboratory. 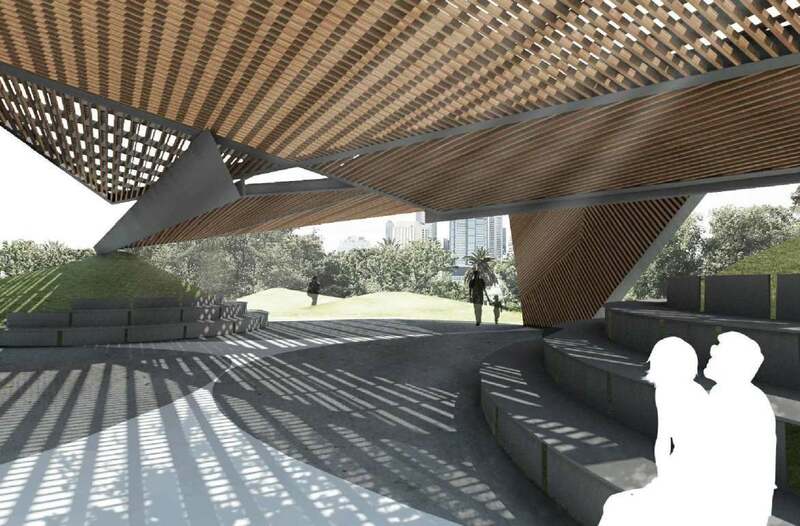 The pavilion will serve as a temporary event space for four months before being gifted to the City of Melbourne and relocated to a permanent home.